Population Ranked 47th in the U.S.
Alaska, a state of the United States of America located in the extreme northwest portion of the North American continent, is the largest U.S. state with 591,004 square miles (1,530,700 square km) of land area. Its Alaska Peninsula, extending out to the Aleutian Islands, is the largest peninsula in the Western Hemisphere. The state is bounded on the north and northwest by the Beaufort and Chukchi Seas respectively, both of which are part of the larger Arctic Ocean. The state is bounded also by the Bering Strait and Bering Sea on the West and the Pacific Ocean and Gulf of Alaska on the south. Alaska's Little Diomede Island in the middle of the Bering Strait is only 2.5 miles from Russia's Big Diomede Island. The state's eastern boundary is with Canada’s Yukon Territory and British Columbia province. One of the Earth's most active earthquake belts rims the southern portion of the state. 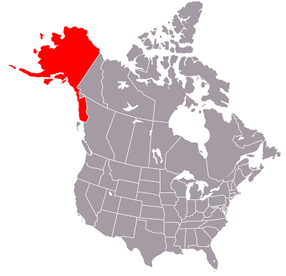 The area that became Alaska was purchased from Russian interests on October 18, 1867, for $7,200,000. The land went through several administrative changes before becoming an organized territory in 1912, and the 49th state of the U.S. on January 3, 1959. The inclusion of Alaska increased the nation's size by nearly 20 percent. Alaska continues to be the nation’s last frontier, with much of it undeveloped and still in a pristine state of wilderness. Nearly 30 percent of the state lies within the Arctic Circle. Glenn Highway near Tok, Alaska. Near Little Port Walter in Southeast Alaska. The name "Alaska" is derived from the Aleut alaxsxaq, meaning "the mainland," or more literally, "the object toward which the action of the sea is directed." Alaska does not border any U.S. state. It has the largest land area of any U.S. state at 570,380 square miles (1,477,277 km²) and is more than twice as large as Texas, the next largest state. Because the state is so large, its geographical characteristics vary widely by region. South central Alaska, the state's southern coastal region, contains its largest city, Anchorage, and most of the state's population. Southeast Alaska, a panhandle running south along the coast, is home to several mid-size towns (including the state capital Juneau), tidewater glaciers, and extensive forests. Southwest Alaska is largely coastal, sparsely populated, and unconnected to the road system; it is known for wet and stormy weather and tundra landscapes. The Alaska Interior is marked by large braided rivers and Arctic tundra lands and shorelines. The Aleutian Islands extending west from the southern tip of the Alaska Peninsula contain many active volcanoes. The North Slope is known for its oil reservoirs and extreme climate. The Alaskan Bush is a general term encompassing any remote part of the state. With its numerous islands, Alaska has nearly 34,000 miles (54,720 km) of tidal shoreline, the most shoreline in the United States. The state is home to 3.5 million lakes of 20 acres (8 ha) or larger. Marshlands and wetland permafrost cover 188,320 square miles (487,747 km²), mostly in northern, western, and southwest flatlands. Frozen water, in the form of glacier ice, covers some 16,000 square miles (41,440 km²) of land and 1,200 square miles (3,110 km²) of tidal zone. The Arctic National Wildlife Refuge in the northeast corner of Alaska covers 19,049,236 acres (77, 090 sq km). Much of the northwest Arctic coastal area west of the Colville River is included in the National Petroleum Reserve–Alaska, which covers about 23,000,000 acres (93,100 km²). The land between these two set-aside areas has seen considerable oil and gas exploration, the establishment of an oil extraction industry centered on the Prudhoe Bay, and the construction of an oil pipeline and access road heading south. According to an October 1998, report by the United States Bureau of Land Management, approximately 65 percent of Alaska is owned and managed by the U.S. federal government as national forests, national parks, national wildlife refuges, national wild and scenic rivers, and national conservation areas. Among these, the Bureau of Land Management manages 87 million acres (350,000 sq km), or 23.8 percent of the state, which area includes the National Petroleum Reserve–Alaska. The Arctic National Wildlife Refuge is managed by the United States Fish and Wildlife Service. The remaining 35 percent of the state land area is apportioned between the State of Alaska (24.5 percent) and thirteen regional (and dozens of local) Native corporations created under the Alaska Native Claims Settlement Act (10 percent), and various private interests (less than 1 percent). Average daily high temperatures (*F) of selected Alaska cities. The climate of Alaska varies widely by region. The southern sections of southeast Alaska have a mid-latitude oceanic climate, similar to that of Seattle, Washington, while the northern parts have more of a subarctic oceanic climate. This is both the wettest and the warmest part of Alaska; it is the only part of the state in which the average daytime high temperature is above freezing during the winter. South central Alaska's climate is considered to be subarctic due to its short, cool summers, but it is generally mild by Alaskan standards. The western Alaska climate is subarctic oceanic in the southwest and continental subarctic farther north. Precipitation in this area varies widely with the northern side of the Seward Peninsula receiving 10 inches (250 mm) of precipitation annually while locations further south, between Bethel and Dillingham receive around 100 inches (2,540 mm). 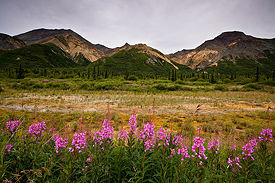 Alaska's interior has an extreme subarctic climate with temperatures ranging from the 80°F (near 30°C) in the summer to below −60°F (−52°C) in the winter. Interior locations often receive less than 10 inches (250 mm) precipitation annually. The extreme north of Alaska has a polar climate with long, very cold winters and short, cool summers. Even in July, the average low temperature is barely above freezing in the town of Barrow, at 34°F (2°C). 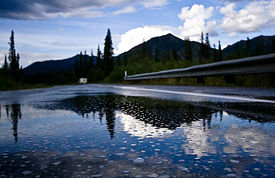 Precipitation is light in this part of Alaska, with many places averaging less than 10 inches (250 mm) per year, mostly in the form of snow, which stays on the ground almost the entire year. Plant and animal life in Alaska are diverse and abundant. Especially notable are its populations of large mammals, including polar bears, wolves, moose, and caribou. Fish, including Pacific salmon, are abundant in streams and in surrounding ocean waters, but low temperatures in much of the state make it an unsuitable habitat for all but a relatively few species of reptiles and amphibians. Brown bear at Katmai National Park. Alaska's brown bear population comprises about 98 percent of the U.S. and 70 percent of the North American total population. Brown bears occur throughout the state, with the minor exceptions of the islands west of Unimak in the Aleutians, the islands south of Frederick Sound in southeast Alaska, and the islands in the Bering Sea. Most brown bears in Alaska are grizzly bears (the subspecies of brown bear found throughout North America), but Kodiak Island is home to the Kodiak bear, another subspecies of brown bear that is the largest type of bear in the world. The brown bear is the foremost predator in Alaska. The density of brown bear populations in Alaska varies according to the availability of food, and in some places is as high as one bear per square mile. Alaska’s McNeil River Falls has one of the largest brown bear population densities in the state. The black bear, much smaller than the brown bear, occurs in the state in a variety of colors including black, brown, cinnamon, and even a rare blue shade. It is found in large numbers on the mainland and not at all on the islands of the Gulf of Alaska and off the Seward Peninsula. Black bears are widely scattered over Alaska, and pose more of a problem to humans than brown bears because the black bears come into close contact with humans on a regular basis. They can become a nuisance as they stroll through towns, camps, backyards, and streets, following their curiosity and drawn by easy food sources such as trash. 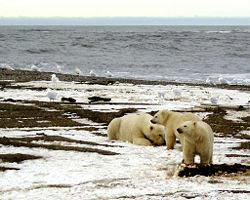 Polar bears on the Beaufort Sea coast. Alaska’s polar bear populations are concentrated along its Arctic coastlines. In the winter, they are most common in the Kuskokwim Delta, St. Matthew Island, and at the southernmost portion of St. Lawrence Island. During the summer months, they migrate to the coastlines of the Arctic Ocean and the Chukchi Sea. The two main polar bear populations in the state are the Chukchi population, found in the western section near the Wrangell Islands, and the Beaufort Sea population, located near Alaska’s North Slope. Until the late 1940s, polar bears were hunted almost exclusively for subsistence by Inupiats and dog teams, though from the late 1940s until 1972, sport hunting was popular. The 1959 Statehood Act set up a program for polar bear management, and further conservation efforts, including the the 1972 Marine Mammal Protection Act, have limited polar bear hunts. Polar bear populations may be threatened by oil development and global warming. Alaska's wolves belong to two subspecies. Those in the southeastern section are darker and smaller than those in the northern regions of the state. Coat colors of Alaskan wolves range from black to white with both gray and black wolves being common. 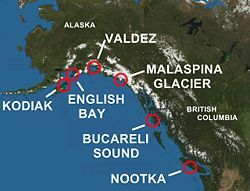 Wolves are found on the mainland, Unimak Island (the first of the Aleutian Islands), and on all the major islands in the southeast except Baranof, Chichagof, and Admiralty. Alaskan game authorities estimate that there is an estimated one wolf per 25 square miles in Alaska, depending on suitable habitat. Wolves are considered of high value in Alaska for their beauty and contributions in controlling moose and caribou populations. The Alaskan wolf population was once extremely fragile due to hunting and trapping, malnutrition, disease, and conflict with humans. Considerable conservation efforts, however, have been dedicated to ensure the wolves' future in Alaska and their populations in many parts of the state are considered adequate. Wildlife authorities' primary concern for the long-term survival of the wild roaming wolves is the possibility of human expansion into the wolves' territory. Caribou on the Alaska tundra. The Rangifer tarandus granti subspecies of caribou ranges widely in Alaska's regions of tundra and the boreal forests in the mountains south of the tundra where many herds spend the winter months. While other parts of the world use the terms "caribou" and "reindeer" synonymously, in Alaska "reindeer" refers exclusively to domesticated caribou, which have been imported into the state from the Asian reindeer herds. Caribou are large-scale migratory animals and have been known to travel up to 50 miles a day. 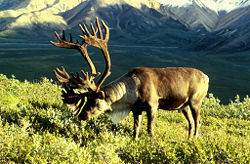 The migratory activities of caribou are usually driven by weather conditions and food availability. Changes in caribou migration can be problematic for Alaska Natives, who depend on the animals for food. Caribou in Alaska are abundant; currently there are an estimated 950,000 in the state. The populations of caribou are controlled by predators and hunters (who shoot about 22,000 caribou a year). Though in the 1970s, there were worries that oil drilling and development would harm caribou populations, they seem to have adapted to the presence of humans, and so far there have been few adverse effects. Bull moose in Chugach State Park. The Alaska subspecies of moose (Alces alces gigas) is the largest in the world, with adult males weighing 1,200 to 1,600 pounds (542-725 kg), and adult females weighing 800 to 1,300 pounds (364-591 kg). 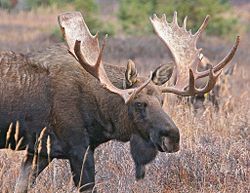 The state's substantial moose population is controlled by predators such as bears and wolves, which prey mainly on vulnerable calves, as well as by human hunters. Because of the abundance of moose in Alaska, moose-human interactions are frequent. Moose have played an important role in the state's history; professional hunters once supplied moose meat to feed mining camps. Native Athapaskan have hunted them to provide food as well as supplies for clothing and tools. Even though big game hunters take 6,000 to 8,000 moose per year, the animals can still be seen feeding and grazing along the state's highways. 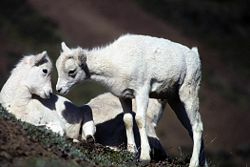 Mountain goats are found in the rough and rocky mountain regions of Alaska throughout the southeastern Panhandle and along the Coastal Mountains of the Cook Inlet. 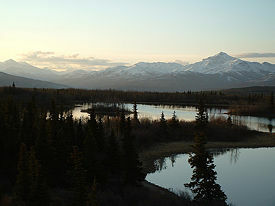 In south central Alaska, they are generally confined to the areas of the Wrangell and Chugach Mountains. Mountain goats have been transplanted to the islands of Baranof and Kodiak, where they have maintained a steady population. The mountain goat is the only representation in North America of the goat-like ungulates. Browsing for food, the animals move around on the alpine ridges in the summer and migrate lower down to the tree-line in the winter. The American bison originally entered Alaska from Montana in 1928, when a bison herd of 20 from Montana was released in the Delta Junction area of central Alaska. From that original group, additional herds have developed by transplantation or emigration along the Copper and Chitina Rivers to the south and Farewell to the west. Small domesticated herds have also been established on Kodiak and Papov Islands. The American bison was once Alaska’s most common large land mammal. However, because of excessive hunting by Native and commercial hunters in the late 1800s, the American bison nearly became extinct. In 1985, there were only 700 wild bison recorded in Alaska. Since then, bison populations have slowly risen. Today, bison can be seen along the highways and in the fields and meadows where tourists and photographers flock together to view them. Dall sheep lambs on an Alaska cliff. Dall sheep inhabit most of Alaska's mountain ranges where there is rocky terrain and steep, inclined land. The mountain setting is an ideal place to rest and feed. They are occasionally seen below their usual high elevation when food is scarce. Alaska contains a good size population of dall sheep. In their rocky environment, they are able to avoid predators and human activities. Orca whales frequent the waters above the Continental shelf from southeast Alaska through the Aleutian Islands, including the Prince William Sound. The orca are also known as the killer whale because it has been known to attack and eat other whales, and it eats large prey animals such as seals and sea lions. Bald Eagle on Kodiak Island. Alaska has quite a variety of fish species. Its lakes, rivers, and coastal waters are home to fish such as trout, salmon, char, grayling, lampreys, lingcod, pike, and whitefish. Every year, salmon participate in the great spawning migration against the river currents. They do this in large numbers and are frequently seen jumping out of the water. 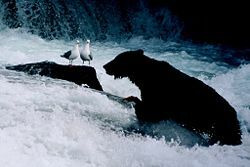 Bears, particularly brown bears, take advantage of this event by swarming to the rivers and indulging in the salmon feast. Birds in Alaska include American Dipper, Boreal Owl, Canadian Goose, Bald Eagle, Great Gray Owl, Northern Hawk Owl, Harlequin Duck, Osprey, and Sandhill Crane. Alaska’s extreme temperatures make the state an inhospitable environment for most species of amphibians and reptiles. The state's two frog species are the spotted frog and wood frog and its only toad is the western toad. The Alaskan waters are home to two species of turtles, the leatherback sea turtle and the green sea turtle. Alaska is a popular destination for hunters from all over the world in pursuit of big game animals such as the brown bear, black bear, moose, caribou, and mountain goat. Alaska’s species of brown bear and moose are the largest in the world. The Boone and Crockett Club records the state as having a rich history of world record game animals taken by various hunters. The most common weapons among hunters are rifles, large handguns, and bows. Fishing is popular in Alaska not only to those who make their living or support their families in that manner, but also to sport fishers. Among commonly sought catches are salmon, giant halibut, grayling, and northern pike. Due to the cold weather, many Alaskan streams are not as productive as those in the more southern states. The south central area is the most productive. 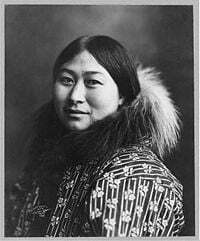 An Inupiaq woman, Nome, Alaska, c. 1907. The Coastal Indians were probably the first wave of immigrants to cross the Bering Land Bridge in western Alaska, although many of them initially settled in interior Canada. The Tlingit were the most numerous of this group, claiming most of the coastal Panhandle by the time of European contact. The southern portion of Prince of Wales Island was settled by the Haidas emigrating from the Queen Charlotte Islands, in Canada. The Aleuts settled the islands of the Aleutian chain approximately 10,000 years ago. Cultural and subsistence practices varied widely among Native groups, which were spread across vast geographical distances. The first European contact with Alaska came as a part of the 1733-1743 second Kamchatka expedition, after the St. Peter (captained by Dane Vitus Bering) and the St. Paul (captained by his deputy, Russian Alexei Chirikov) set sail from Russia in June 1741. On July 15, Chirikov sighted land, probably the west side of Prince of Wales Island in Southeast Alaska. He sent a group of men ashore in a long boat, making them the first Europeans to set foot on the northwestern coast of North America. Bering and his crew sighted Mt. St. Elias. Chirikov and Bering's crew returned to Russia in 1742, carrying word of the expedition. The sea otter pelts they brought, soon judged to be the finest fur in the world, would spark Russian settlement in Alaska. After the second Kamchatka expedition, small associations of fur traders began to sail from the shores of Siberia toward the Aleutian islands. As the runs from Siberia to America became longer expeditions, the crews established hunting and trading posts. By the late 1790s, these had become permanent settlements. Alexandr Baranov, "Lord of Alaska." On some islands and parts of the Alaska Peninsula, groups of traders had established relatively peaceful coexistence with the local inhabitants. Other groups could not manage the tensions and perpetrated exactions. Hostages were taken, individuals were enslaved, families were separated, and other individuals were forced to leave their villages and settle elsewhere. Over the years, the situation became catastrophic. Eighty percent of the Aleut population was destroyed by violence and European diseases, against which they had no defenses, during the first two generations of Russian contact. Though the colony was never very profitable, most Russian traders were determined to keep the land. In 1784, Grigory Ivanovich Shelikhov arrived in Three Saints Bay on Kodiak Island. Shelikov established Russian dominance on the island by killing hundreds of indigenous Koniag, then founded the first permanent Russian settlement in Alaska on the island's Three Saints Bay. In 1790, Shelikhov hired Alexandr Baranov to manage his Alaskan fur enterprise. Baranov moved the colony to what is now the city of Kodiak. In 1795, Baranov, concerned by sightings of non-Russian Europeans trading with the Natives in southeast Alaska, established Mikhailovsk near present-day Sitka. Though he bought the land from the Tlingits, Tlingits from a neighboring settlement later attacked and destroyed Mikhailovsk. After Baranov retaliated, razing the Tlingit village, he built the settlement of New Archangel. It became the capital of Russian America and today is the city of Sitka. The Russian Orthodox religion (with its rituals and sacred texts, translated into Aleut at a very early stage) had been informally introduced, in the 1740s-1780s, by the fur traders. 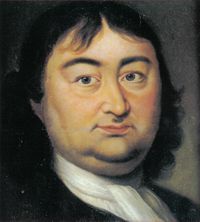 During his settlement of Three Saints Bay in 1784, Shelikov introduced the first resident missionaries and clergymen. This missionary activity would continue into the 1800s, ultimately becoming the most visible trace of the Russian colonial period in contemporary Alaska. Spanish contact in British Columbia and Alaska. Spain's claims to Alaska dated to the papal bull of 1493, which allocated to the Spanish the right to colonize the west coast of North America. When rival countries, including Britain and Russia, began to show interest in Alaska in the late eighteenth century, King Charles III of Spain sent a number of expeditions to re-assert Spanish claims to the northern Pacific Coast, including Alaska. In 1775, Bruno de Hezeta led an expedition designed to solidify Spanish claims to the northern Pacific. One of the expedition's two ships, the Señora, ultimately reached 59°N latitude, entering Sitka Sound near the present-day town of Sitka. There, the Spaniards performed numerous "acts of sovereignty," naming and claiming Puerto de Bucareli (Bucareli Sound), Puerto de los Remedios, and Mount San Jacinto, renamed Mount Edgecumbe by British explorer James Cook three years later. In 1791, Alessandro Malaspina undertook an around-the-world scientific expedition, with orders to locate the Northwest Passage and search for gold, precious stones, and any American, British, or Russian settlements along the northwest coast. He surveyed the Alaska coast to the Prince William Sound. 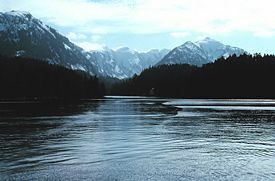 At Yakutat Bay, the expedition made contact with the Tlingit. In the end, the North Pacific rivalry proved to be too difficult for Spain, which withdrew from the contest and transferred its claims in the region to the United States in the Adams-Onís Treaty of 1819. Today, Spain's Alaskan legacy endures as little more than a few place names, among these the Malaspina Glacier and the town of Valdez. British settlements in Alaska consisted of a few scattered trading outposts, with most settlers arriving by sea. Captain James Cook, midway through his third and final voyage of exploration in 1778, sailed along the west coast of North America aboard the HMS Resolution, mapping the coast from the state of California all the way to the Bering Strait. During the trip, he discovered what came to be known as Cook Inlet (named in honor of Cook in 1794 by George Vancouver, who had served under his command) in Alaska. The Bering Strait proved to be impassable, although the Resolution and its companion ship HMS Discovery made several attempts to sail through it. The ships left the straits to return to Hawaii in 1779. Cook's expedition spurred the British to increase their sailings along the northwest coast, following in the wake of the Spanish. Three Alaska-based posts, funded by the Hudson's Bay Company, operated at Fort Yukon, on the Stikine River, and in Wrangell (the only Alaskan town to have been the subject of British, Russian, and American rule) throughout the early 1800s. 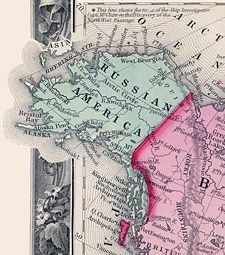 1860 map of Russian America. 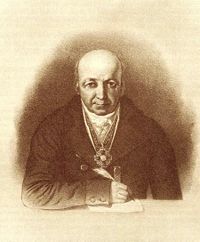 In 1799, Shelikhov's son-in-law, Nikolay Petrovich Rezanov, acquired a monopoly on the American fur trade from Tsar Paul I and formed the Russian-American Company. As part of the deal, the Tsar expected the company to establish new settlements in Alaska and carry out an expanded colonization program. By 1804, Alexandr Baranov, now manager of the Russian–American Company, had consolidated the company's hold on the American fur trade following his victory over the local Tlingit clan at the Battle of Sitka. Despite these efforts, the Russians never fully colonized Alaska. The Russian monopoly on trade was also being weakened by the Hudson's Bay Company, which set up a post on the southern edge of Russian America in 1833. American hunters and trappers, who encroached on territory claimed by Russians, were also becoming a force. An 1812 settlement giving Americans the right to the fur trade only below 55°N latitude was widely ignored, and the Russians' hold on Alaska weakened further. The Russian-American Company suffered because of 1821 amendments to its charter, and eventually it entered into an agreement with the Hudson's Bay Company that allowed the British to sail through Russian territory. At the height of Russian America, the Russian population reached 700. Although the mid–1800s were not a good time for Russians in Alaska, conditions improved for the coastal Alaska Natives who had survived contact. The Tlingits were never conquered and continued to wage war on the Russians into the 1850s. The Aleuts, though faced with a decreasing population in the 1840s, ultimately rebounded. Financial difficulties in Russia, the desire to keep Alaska out of British hands, and the low profits of trade with Alaskan settlements all contributed to Russia's willingness to sell its possessions in North America. At the instigation of U.S. Secretary of State William Seward, the United States Senate approved the purchase of Alaska from Russia for $7,200,000 on April 9, 1867. This purchase was popularly known in the U.S. as "Seward's Folly," or "Seward's Icebox," and was unpopular at the time, though the later discovery of gold and oil would show it to be a worthy one. After Russian America was sold to the U.S., all the holdings of the Russian–American Company were liquidated. The United States flag was raised in Alaska on October 18, 1867 (now called Alaska Day). Coincident with the ownership change, the de facto International Date Line was moved westward, and Alaska changed from the Julian calendar to the Gregorian calendar. During the Department era, from 1867 to 1884, Alaska was variously under the jurisdiction of the U.S. Army (until 1877), the United States Department of the Treasury (from 1877-1879) and the U.S. Navy (from 1879-1884). When Alaska was first purchased, most of its land remained unexplored. In 1865, Western Union laid a telegraph line across Alaska to the Bering Strait where the line was intended to connect under water with an Asian line. Western Union also conducted the first scientific studies of the region and produced the first map of the entire Yukon River. The telegraph line intended to reach Europe through Asia was abandoned after Cyrus Field succeeded in 1866 in his fifth attempt to lay a telegraph line from the U.S. to Europe under the Atlantic Ocean. The Alaska Commercial Company and the military also contributed to the growing exploration of Alaska in the last decades of the 1800s, building trading posts along the Interior's many rivers. In 1884, the region was organized and the name was changed from the Department of Alaska to the District of Alaska. At the time, legislators in Washington, D.C. had little time to dedicate to the new state. In 1896, the discovery of gold in Yukon Territory in neighboring Canada, brought many thousands of miners and new settlers to Alaska, very quickly ending the nation's four year economic depression. Although it was uncertain whether gold would also be there, Alaska greatly profited because it was along the easiest transportation route to the Yukon gold fields. Numerous new cities, such as Skagway, Alaska, owe their existence to a gold rush in Canada. No history of Alaska would be complete without mention of Soapy Smith, the crime–boss confidence–man who operated the largest criminal empire in gold rush era Alaska, until he was shot down by vigilantes. Today, he is known as "Alaska's Outlaw." In 1899, gold was found in Nome, in the far western part of the state on the Bering Sea coast, and also several towns in the interior subsequently sprang up, including Fairbanks and Ruby. In 1902, construction began on the Alaska Railroad, which would run from the port town of Seward north to Fairbanks in the center of the state by 1914. A railroad connecting Alaska to the lower 48 states was never built. The industries of copper mining, fishing, and canning became popular in the early 1900s, with 10 canneries in some major towns. In 1903, a boundary dispute with Canada was finally resolved. By the turn of the twentieth century, commercial fishing was gaining a foothold in the Aleutian Islands. Packing-houses salted cod and herring, and salmon canneries were opened. Whaling prospered, though with no controls over–hunting occurred. Bowhead whales were pushed to the edge of extinction for the oil in their tissue (though in recent years, due to a decline in commercial whaling, their populations have rebounded enough for Natives to harvest many each year without adverse affects). The Aleuts soon suffered severe problems due to the depletion of the fur seals and sea otters, needed for survival in their traditional way of life. When Congress passed the Second Organic Act in 1912, Alaska was reorganized and renamed the Territory of Alaska. Alaska had a population of about 58,000 in 1916, when James Wickersham, a delegate to Congress, introduced Alaska's first statehood bill, which failed due to lack of interest. Even President Warren Harding's visit, in 1923, could not create widespread interest in statehood. Under the conditions of the Second Organic Act, Alaska had been split into four divisions. The most populous of the divisions, whose capital was Juneau, considered becoming a separate state from the other three. Government control was a primary concern, with the territory having 52 federal agencies governing it. In 1920, the Jones Act required U.S.-flagged vessels to be built in the United States, owned by U.S. citizens, and documented under the laws of the United States. All goods entering or leaving Alaska had to be transported by American carriers and shipped to Seattle prior to further shipment, making Alaska dependent on Washington. The U.S. Supreme Court ruled that the provision of the Constitution saying one state should not hold sway over another's commerce did not apply because Alaska was only a territory. Shipping businesses in Seattle began to raise prices to take advantage of the situation. The Depression caused prices of fish and copper, which were vital to Alaska's economy at the time, to decline. Wages were dropped and the workforce decreased by more than half. In 1935, President Roosevelt proposed that Americans from agricultural areas be transferred to Alaska's Matanuska-Susitna Valley for a fresh chance at agricultural self-sustainment. Colonists were largely from northern states, such as Michigan, Wisconsin, and Minnesota, under the belief that only those who grew up in similar climates could handle life in cold Alaska. The exploration and settlement of Alaska would not have been possible without the development of aircraft, which allowed for an influx of settlers into the state's interior, and rapid transportation of people and supplies throughout. However, there were numerous instances of wreckage due to the unfavorable weather conditions of the state. During World War II, three of the outer Aleutian Islands—Attu, Agattu, and Kiska—were invaded and occupied by Japanese troops. They were the only part of the continental territory of the United States to be occupied by the enemy during the war. Their recovery became a matter of national pride. On June 3, 1942, Japan launched an air attack on Dutch Harbor, a U.S. naval base on Unalaska Island, but were repelled by U.S. forces. A few days later, the Japanese landed on the islands of Kiska and Attu, where they overwhelmed Attu villagers. The villagers were taken to Japan, where they were interned for the remainder of the war. Aleuts from the Pribilofs and Aleutian villages were evacuated by the United States to Southeast Alaska. Attu was regained in May 1943, after two weeks of intense fighting and 3,929 American casualties, including 1481 dead. The U.S. then turned its attention to the other occupied island, Kiska. From June through August, numerous bombs were dropped on the tiny island, though the Japanese ultimately escaped via transport ships. After the war, the Native Attuans who had survived their internment were resettled to Atka by the federal government. In 1942, the Alaska–Canada Military Highway was completed, in part to form an overland supply route to America's Russian allies on the other side of the Bering Strait. Running from Great Falls, Montana, to Fairbanks, the road was the first stable link between Alaska and the rest of America. The construction of military bases, such as the Adak base, contributed to the population growth of some Alaskan cities. Anchorage almost doubled in size, from 4,200 people in 1940 to 8,000 in 1945. By the turn of the twentieth century, a movement pushing for Alaska statehood began, but in the contiguous 48 states, legislators were worried that Alaska's population was too sparse, distant, and isolated, and its economy was too unstable for it to be a worthwhile state addition to the United States. World War II and the Japanese invasion highlighted Alaska's strategic importance, and the issue of statehood was taken more seriously, but it was the discovery of oil at Swanson River on the Kenai Peninsula that dispelled the image of Alaska as a weak, dependent region. President Dwight D. Eisenhower signed the Alaska Statehood Act into United States law on July 7, 1958, which paved the way for Alaska's admission into the Union on January 3, 1959. Juneau, the territorial capital, continued as state capital, and William A. Egan was sworn in as the first governor. On March 27, 1964, the "Good Friday Earthquake" struck South-central Alaska, churning the earth for four minutes with a magnitude of 9.2. The earthquake was one of the most powerful ever recorded and killed 131 people. Most deaths occurred through drowning in the tsunamis that tore apart the towns of Valdez and Chenega. Throughout the Prince William Sound region, towns and ports were destroyed and land was uplifted or shoved downward. The uplift destroyed salmon streams, as the fish could no longer jump the various newly created barriers to reach their spawning grounds. Ports at Valdez and Cordova were beyond repair, and fires destroyed what the mudslides had not. At Valdez, an Alaska Steamship Company ship was lifted by a huge wave over the docks and out to sea, but most hands survived. At Turnagain Arm, off Cook Inlet, the incoming water destroyed trees and caused cabins to sink into the mud. On Kodiak, a tidal wave destroyed the villages of Afognak, Old Harbor, and Kaguyak, and damaged other communities, while Seward lost its harbor. Despite the extent of the catastrophe, many of the communities were rebuilt. The 1968 discovery of oil on the North Slope's Prudhoe Bay—which would turn out to have the most recoverable oil of any field in the United States—would change Alaska's political landscape for decades. This discovery catapulted the issue of Native land ownership into the headlines. In the mid-1960s, Alaska Natives from many tribal groups had united in an effort to gain title to lands wrested from them by Europeans, but the government had responded slowly before the Prudhoe Bay discovery. The government finally took action when permitting for a pipeline crossing the state, necessary to get Alaskan oil to market, was stalled pending the settlement of Native land claims. In 1971, with major petroleum dollars on the line, the Alaska Native Claims Settlement Act was signed into law by Richard Nixon. Under the Act, Natives relinquished aboriginal claims to their lands in exchange for access to 44 million acres (180,000 sq km) of land and payment of $963 million. The settlement was divided among regional, urban, and village corporations, which managed their funds with varying degrees of success. 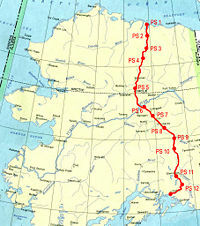 Map of the Trans-Alaska Pipeline. Though a pipeline from the North Slope to the nearest ice-free port, almost 800 miles (1,300 km) to the south, was the only way to get Alaska's oil to market, significant engineering challenges lay ahead. Between the North Slope and Valdez, there were active fault lines, three mountain ranges, miles of unstable, boggy ground underlain with frost, and migration paths of caribou and moose. The Trans-Alaska Pipeline was ultimately completed in 1977, at a total cost of $8 billion. 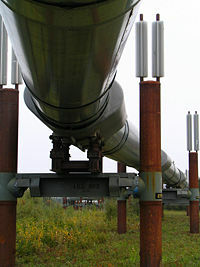 The pipeline allowed an oil bonanza to take place. Per capita incomes rose throughout the state, with virtually every community benefiting. State leaders were determined that this boom would not end like the fur and gold booms, in an economic bust as soon as the resource had disappeared. In 1976, the state's constitution was amended to establish the Alaska Permanent Fund, in which a quarter of all mineral lease proceeds were invested. Income from the fund is used to pay annual dividends to all residents who qualify, to increase the fund's principal as a hedge against inflation, and to provide funds for the state legislature. Since 1993, the fund has produced more money than the Prudhoe Bay oil fields, whose production is diminishing. As of 2005, the fund's value was over $30 billion. Oil production was not the only economic value of Alaska's land, however. In the second half of the twentieth century, Alaska discovered tourism as an important source of revenue, which had become popular following World War II, when men stationed in the region returned home praising its natural splendor. The Alcan Highway, built during the war, and the Alaska Marine Highway System, completed in 1963, made the state more accessible than it had ever been. Tourism became increasingly important in Alaska, and today over 1.4 million people visit the state each year. With tourism more vital to the economy, environmentalism also rose in importance. The Alaska National Interest Lands Conservation Act (ANILCA) of 1980 added 53.7 million acres (217,000 km²) to the National Wildlife Refuge system, parts of 25 rivers to the National Wild and Scenic Rivers system, 3.3 million acres (13,000 sq km) to National Forest lands, and 43.6 million acres (176,000 sq km) to National Park land. Because of the Act, Alaska now contains two-thirds of all American national park lands. Today, more than half of Alaskan land is owned by the Federal Government. Oil pooled on rocks on the shore of Prince William Sound after the oil spill. 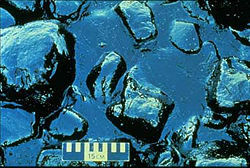 The possible environmental repercussions of oil production became clear in the Exxon Valdez oil spill of 1989. On March 24, the tanker Exxon Valdez ran aground in Prince William Sound, releasing 11 million gallons (42 million liters) of crude oil into the water, spreading along 1,100 miles (1,800 km) of shoreline. According to the U.S. Fish and Wildlife Service, at least 300,000 sea birds, 2,000 otters, and other marine animals died as a result of the spill. Exxon spent $2 billion on cleaning up in the first year alone. Exxon, working with state and federal agencies, continued its cleanup into the early 1990s. Government studies show that the oil and the cleaning process itself did long-term harm to the ecology of the Sound, interfering with the reproduction of birds and animals in ways that still aren't fully understood. Prince William Sound seems to have recuperated, but scientists still dispute the extent of the recovery. In a civil settlement, Exxon agreed to pay $900 million in ten annual payments, plus an additional $100 million for newly discovered damages. 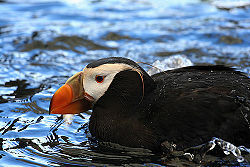 Tufted Puffin at the Alaska SeaLife Center. The Alaska SeaLife Center, which opened in May 1998, was established by The Seward Association for Advancement of Marine Science and continues as a collaborative effort between Coastal America, North Pacific Research Board, University of Alaska School of Fisheries and Ocean Sciences, and Ocean Alaska Science & Learning Center. The Exxon Valdez Oil Spill Settlement Fund provided $26 million to help build the $56 million facility. Grants, bonds and donations supplied the remaining funds, while the city of Seward donated a seven-acre waterfront site. The center is dedicated to understanding and maintaining the integrity of the marine ecosystem of Alaska through research, rehabilitation, and public education. Visitors are immersed in naturalistic exhibits relating to the marine ecosystems of the state. Traditionally, Alaskan residents, trade unions, and business interests have supported drilling in the refuge, while environmental groups and many within the U.S. Democratic Party have traditionally opposed it. Among native Alaskan tribes, support is mixed. In the 1990s and 2000s, votes about the status of the refuge occurred repeatedly in the U.S. House and Senate, but as of 2007, efforts to allow drilling have always been ultimately thwarted by filibusters, amendments, or vetoes. Juneau has been the capital of the State of Alaska since 1906, when the government was transferred from Sitka. The city had a population of 31,000 as of the 2005 census. The City and Borough of Juneau is a unified home rule municipality comprising the city of Juneau and surrounding area on the mainland plus the City of Douglas and surrounding area on Douglas Island, across the Gastineau Channel from the mainland. Douglas Island is part of the Alexander Archipelago. The area of the Borough of Juneau, which includes considerable surrounding wilderness area, is larger than that of Rhode Island or Delaware and almost as large as the two states combined. It is nestled at the base of Mount Juneau. Alaska has no counties, as do other states in the United States. Instead, it is divided into 16 boroughs and one "unorganized borough" made up of all land not within any borough. Boroughs have organized area-wide governments, but within the unorganized borough, where there is no such government, services are provided by the state. The unorganized borough is divided into artificially-created census areas by the United States Census Bureau for statistical purposes only. As with the federal government of the United States, power in Alaska is divided into three branches: Executive, legislative, and judicial. The executive branch is headed by the governor. The Alaska Legislature is a bicameral body comprising the Senate, whose 20 members serve four-year terms, and the House of Representatives, whose 40 members serve two-year terms. Alaska's court system has four levels: The Supreme Court, the court of appeals, the superior courts, and the district courts. The superior and district courts are trial courts. Superior courts are courts of general jurisdiction, while district courts only hear certain types of cases, including misdemeanor criminal cases and civil cases valued up to $100,000. The supreme court and the court of appeals are appellate courts. The court of appeals is required to hear appeals from certain lower-court decisions, including those regarding criminal prosecutions, juvenile delinquency, and habeas corpus. The supreme court hears civil appeals and may, in its discretion, hear criminal appeals. Local political communities often work on issues related to land use development, fishing, tourism, and individual rights. Alaska Natives, while organized in and around their communities, are often active within the Native corporations which have been given ownership over large tracts of land, and thus need to deliberate resource conservation and development issues. Alaska is often described as a Republican-leaning state with strong libertarian tendencies. In all but the 1964 presidential election, the state's electoral college votes have been won by a Republican nominee. President George W. Bush won the state's electoral votes in 2004 by a margin of 25 percentage points, with 61.1 percent of the vote. The Alaska Legislature has recently been dominated by conservatives, generally Republicans, and recent state governors have generally been conservative, although not always Republican. The city of Juneau stands out as a stronghold of the Democratic party. As of 2004, well over half of all registered voters in the state choose "Non-Partisan" or "Undeclared" as their affiliation, despite recent attempts to close primaries. Alaska's economy relies heavily on petroleum extraction, with more than 80 percent of the state's revenues derived from this industry. Its industrial outputs are crude petroleum, natural gas, coal, gold, precious metals, zinc and other mining, seafood processing, timber, and wood products. The state's main export product after oil and natural gas is seafood, primarily salmon, cod, pollock, and crab. The most important of the commercial fisheries is the salmon industry, which employs thousands during the harvesting and processing seasons. It is the main economic concern for many communities in the state. Agriculture represents only a small fraction of the Alaska economy. Agricultural production is primarily for consumption within the state and includes nursery stock, dairy products, vegetables, and livestock. Manufacturing is limited, with most foodstuffs and general goods imported from elsewhere. Alaska is well-known for its unspoiled natural beauty and many people flock to the state to take part in its nature-based activities. It is estimated that over $250 million per year of direct business revenues flows into the major tourist areas. Both cruise ship passengers and independent travelers come as fishers, campers, hunters, and simply observers of such natural wonders as glaciers, mountains, scenery, fisheries, whales, and other marine mammals. Alaska's road system provides access to a relatively small part of the state, linking the central population centers and the Alaska Highway, the principal route out of the state through Canada. Most cities and villages in the state are accessible only by sea or air. The state capital, Juneau, for example, is not connected by road to other parts of the state, a situation that has spurred several debates over the decades about moving the capital to a city on the road system. Compensating for the limited roadway system is a well-developed ferry system, known as the Alaska Marine Highway, which serves the cities of Southeast Alaska (including Juneau) and the Alaska Peninsula extending out toward the Aleutian Islands. The Alaska Marine Highway is part of the U.S. National Highway System and receives funding under that program. In addition, the locally-initiated Inter-Island Ferry Authority serves as an important marine link in the Prince of Wales Island region of Southeast. The Alaska Railroad running between Seward and Fairbanks is famous for its summertime passenger services, but it also plays a vital part in moving Alaska's natural resources, such as coal and gravel, to ports in Anchorage, Whittier, and Seward. Anchorage was a common stopover for passengers flying from the eastern U.S. to East Asia from the 1960s to the 1980s because U.S., Asian, and Western European aircraft could not fly over Soviet airspace, and because they did not have the range that modern-day aircraft have. Today, many cargo carriers continue to use Anchorage, and its Ted Stevens International Airport is the third busiest air cargo hub in the world after airports in Memphis, Tennessee, and Hong Kong. The majority of passenger flight operations into Stevens Airport are on Alaska Airlines to and from Seattle and Fairbanks. Within the state, Alaska Airlines is the only major airline offering travel with jet service (sometimes in combination cargo and passenger Boeing 737-400s). Small regional commuter airlines provide the bulk of the remaining commercial flights. The smallest towns and villages must rely on scheduled or chartered Bush flying services using general aviation aircraft such as the Cessna Caravan, the most popular aircraft in use in the state. In areas not served by road or rail, primary summer transportation is by all-terrain vehicle and the primary winter transportation mode is by snowmobile, or "snow machine," as it is called in Alaska. The Alaska Department of Education and Early Development administers public school districts in the state. Because there are so many remote villages and communities throughout Alaska, several public boarding schools have been set up (in the towns of Sitka, Nenana, and Galena). These schools offer more opportunity than can be provided in the small village schools. The University of Alaska has attempted to combat the exodus of the state's young people by offering partial four-year scholarships to the top 10 percent of Alaska high school graduates. This program, designed to keep the brightest high school graduates in Alaska and continuing their education in their home state is known as the UA Scholars Program. According to the U.S. Census Bureau's 2005 American Community Survey, 66.7 percent of Alaska residents are non-Hispanic whites. American Indians and Alaska Natives make up 14.2 percent of the state's population (or 18.3 percent if those indicating both white and American Indian/Alaska Native races are included), the largest proportion of any state. Multiracial people are the third largest group in the state, totaling 6.9 percent of the population. Hispanics, Asians, African Americans, and Native Hawaiian or other Pacific Islanders make up 4.8 percent, 4.5 percent, 3.4 percent, and 0.5 percent of the population, respectively. The largest self-reported ancestry groups in the state are German (19.0 percent), Alaska Native or American Indian (15.6 percent), Irish (12.7 percent), English (11.0 percent), American (6.0 percent), and Norwegian (4.4 percent). 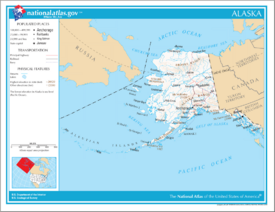 Alaska is the least densely populated state in the U.S. with 0.4247 people per square kilometer (1.1 per square mile). Population densities in the other states range from 1.97 per square kilometer (5.1 per square mile) in Wyoming to 438 per square kilometer (1,134.4 per square mile) in New Jersey. Alaska's population was estimated to be 663,661 in 2005. 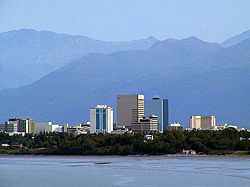 Alaska's most populous city is Anchorage, home to 277,000 people (2007 estimate)—42 percent of the state's population. The city comprises 5,063 sq. kilometers (1,955 sq. miles)—about the size of the land area of the state of Delaware. In 2007, Alaska had more than three times the people and five times the jobs it had when it became a state in 1959. More than 60 percent of the population lives in Anchorage and adjacent boroughs. Many of the Alaska natives continue to live in remote villages scattered throughout the state, generally along rivers or the coasts. The lifestyles of those in the cities and those in rural areas are vastly different. Many in the remote areas survive on subsistence farming and fishing and must contend with a lack of safe water and sewer systems. Unemployment in these areas tends to be quite high. The vast, sparsely populated regions of northern and western Alaska are primarily inhabited by Alaska Natives, who are also numerous in the southeast. Anchorage, Fairbanks, and other parts of south-central and southeast Alaska have many whites of northern and Western European ancestry. The Wrangell-Petersburg area has many residents of Scandinavian ancestry and the Aleutians contain a large Filipino population. Most of the state's black population lives in Anchorage. Fairbanks also has a sizable African American population. According to the 2000 U.S. Census, 85.7 percent of Alaska residents age 5 and older speak English at home. The next most common languages are Spanish (2.88 percent), Yupik (2.87 percent), Tagalog (1.54 percent), and Iñupiaq (1.06 percent). A total of 5.2 percent of Alaskans speak one of the state's 22 indigenous languages, known locally as Native languages. According to an NBC exit poll taken during the 2004 presidential election, 52 percent of Alaskan voters were "Protestant/other Christian," 17 percent were Catholic, 1 percent were Jewish, 11 percent were "something else," and 19 percent were not religious. Alaska has a relatively large Russian Orthodox population as a result of early Russian colonization and missionary work among Alaska Natives. In 2004, church officials estimated that there were up to 50,000 Russian Orthodox individuals in the state, comprising approximately 8 percent of the state's population. In 1990, 0.51 percent of the state's population was Quaker, the largest percentage of any state. Some of Alaska's popular annual events are the World Ice Art Championships in Fairbanks, the Blueberry Arts Festival in Ketchikan, the Sitka Whale Fest, and the Stikine River Garnet Fest in Wrangell. 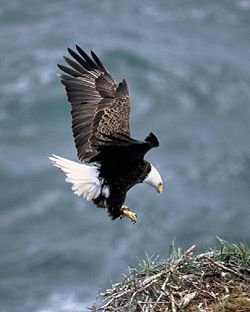 The Stikine River features the largest springtime concentration of American Bald Eagles in the world. Musher Robert Sorlie near the Nome finish of the Iditarod. Various dog mushing races are held around the state, but the best known is the Iditarod Trail Sled Dog Race, following a 1,150 mile (1850 km) trail from Anchorage to Nome. 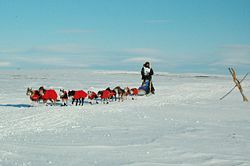 The race commemorates the famous 1925 serum run to Nome in which mushers and dogs like Balto took much-needed medicine to the diphtheria-stricken community of Nome when all other means of transportation had failed. 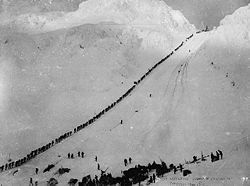 Portions of the original Iditarod Trail were used by the Native American Inuit and Athabaskan peoples hundreds of years before the arrival of Russian fur traders in the 1800s, but use of the trail reached its peak between the late 1880s and the mid 1920s as miners arrived to dig coal, and later, gold. Mushers from all over the world come to Anchorage each March to compete for both cash prizes and prestige. The Alaska Native Heritage Center celebrates the rich heritage of Alaska's eleven cultural groups. The center's purpose is to enhance self-esteem among Native people and to encourage cross-cultural exchanges among all people. Alaska's two professional sports teams are the Alaska Aces, an ECHL hockey team, and the Alaska Wild, a new Intense Football League football team. Hiking, camping, and cross-country skiing, as well as hunting and fishing, are all very popular in Alaska. Due to the northern climate and steep terrain, relatively little farming occurs in Alaska. Most farms are in either the Mat-Su Valley near Anchorage, or on the Kenai Peninsula. The short summer limits the types of crops that can be grown—primary crops are potatoes, carrots, lettuce, and cabbage. But the long days of summer can allow these vegetables to reach record size. Alaska has an abundance of seafood, with the primary fisheries in the Bering Sea, and seafood is one of the few food items that is often cheaper within the state than outside it. Hunting for subsistence, primarily caribou, moose, and sheep, is still fairly common in the state, particularly in remote Bush communities. An example of a traditional native food is Akutaq, the Eskimo ice cream, consisting of reindeer fat and seal oil and some berries. Most food in Alaska is transported into the state from outside, and is relatively expensive due to the high shipping costs. Influences on music in Alaska include the traditional music of Alaska Natives as well as folk music brought by later immigrants from Russia and Europe. There are many established music festivals in Alaska, including the Alaska Folk Festival, the Fairbanks Winter Music Fest, the Anchorage Folk Festival, the Athabascan Old-Time Fiddling Festival, and the Sitka Summer Music Festival. The most prominent symphony in Alaska is the Anchorage Symphony Orchestra, though the Juneau Symphony is also notable. The Anchorage Opera is currently the state's only professional opera company, though Alaska hosts several volunteer and semi-professional organizations as well. Alaska is home to eight national parks. ↑ Memorandum of Decision on Cross Motions for Summary Judgment In the Superior Court for the State of Alaska, March 2002. Retrieved January 29, 2012. ↑ Ransom J. Ellis, Derivation of the Word 'Alaska' American Anthropologist n.s. 1940, 42: 550-551. ↑ World Christian Broadcasting, Alaska Facts. Retrieved August 4, 2007. ↑ Weather Underground, History for Barrow, Alaska. Retrieved August 4, 2007. ↑ Tom S. Smith and Steven Herrero, A Century of Bear-Human Conflict in Alaska: Analyses & Implications, U.S. Geological Survey. Retrieved August 4, 2007. ↑ BBC News, Global warming could starve polar bears. Retrieved August 4, 2007. ↑ Brent Huffman, American bison. Retrieved August 4, 2007. ↑ Center for Alaska Coastal Studies, Endangered & Threatened Species Curriculum. Retrieved August 4, 2007. ↑ Boone & Crockett Club: World's Records, World's Records. Retrieved August 4, 2007. ↑ Alaska Outdoors Supersite, Fishing Alaska. Retrieved August 4, 2007. ↑ National Park Service, Archaeological Overview of Alaska. Retrieved August 4, 2007. ↑ California Academy of Sciences, Russia's Great Voyages. Retrieved August 4, 2007. ↑ Kodiak Island.net, Alaska History Timeline. Retrieved August 4, 2007. ↑ Eric Gislason, A Brief History of Alaska Statehood (1867-1959). Retrieved August 5, 2007. ↑ ExploreNorth, Aleutian Islands War: June 3, 1942-August 24, 1943. Retrieved August 5, 2007. 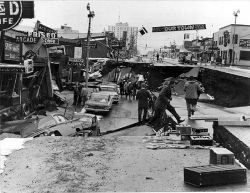 ↑ Alaska Earthquake Information Center, University of Alaska Fairbanks, The Great Alaska Earthquake of 1964. Retrieved August 5, 2007. ↑ Zachery Coile, ARCTIC OIL: Oil is the lifeblood of Alaska, with residents ready to drill. Retrieved August 6, 2007. ↑ U.S. Environmental Protection Agency, Exxon Valdez. Retrieved August 6, 2007. ↑ Elizabeth Sands and Stephanie Pahler, Geology. Retrieved August 6, 2007. ↑ Alaska Conservation Foundation, State Symbols. Retrieved September 10, 2007. ↑ State of Alaska, Alaska Voter Registration by Age. Retrieved August 6, 2007. ↑ Alaska Permanent Fund Corporation, The Permanent Fund Dividend. Retrieved September 10, 2007. ↑ Alaska Initiative for Community Engagement, Asset Building in Residence Life. Retrieved September 10, 2007. ↑ U.S.News & World Report, Education. Retrieved September 10, 2007. ↑ Anchorage Convention & Visitors Bureau, Anchorage & Alaska Fun Facts. Retrieved September 10, 2007. ↑ Institute of Social and Economic Research, Understanding Alaska: People. Retrieved September 10, 2007. ↑ Modern Language Association, Most spoken languages in Alaska. Retrieved October 24, 2007. ↑ msnbc, Exit polls—Senate: Alaska. Retrieved October 24, 2007. ↑ BBC News, Religious legacy lives on in Alaska. Retrieved October 24, 2007. ↑ Adherents.com, Quaker—Alaska. Retrieved October 24, 2007. Alaska Fish and Game. Alaska Department of Fish & Game, Retrieved August 4, 2007. Alaska Court System. About the Alaska Court System. Retrieved August 6, 2007. Alaska SeaLife Center. Windows to the Sea. Retrieved September 10, 2007. Dugan, Darcy, Ginny Fay, and Steve Colt. Nature-Based Tourism in Southeast Alaska: Results from 2005 and 2006 Field Study, Institute of Social and Economic Research; University of Alaska Anchorage and Eco-Systems. Retrieved September 10, 2007. United States Geological Survey. Science In Your Backyard: Alaska. This page was last modified on 15 February 2019, at 23:20.